I’ve always had a soft spot for shell collecting, unable to resist any vaguely good-looking treasure on the shoreline – and I know enough to feel lucky if I find a cowrie. But I don’t really do identification, much less labelled display cases. This book is so geeky about it all, it’s brilliant – within a few pages, I could feel myself getting sucked in like the tide. 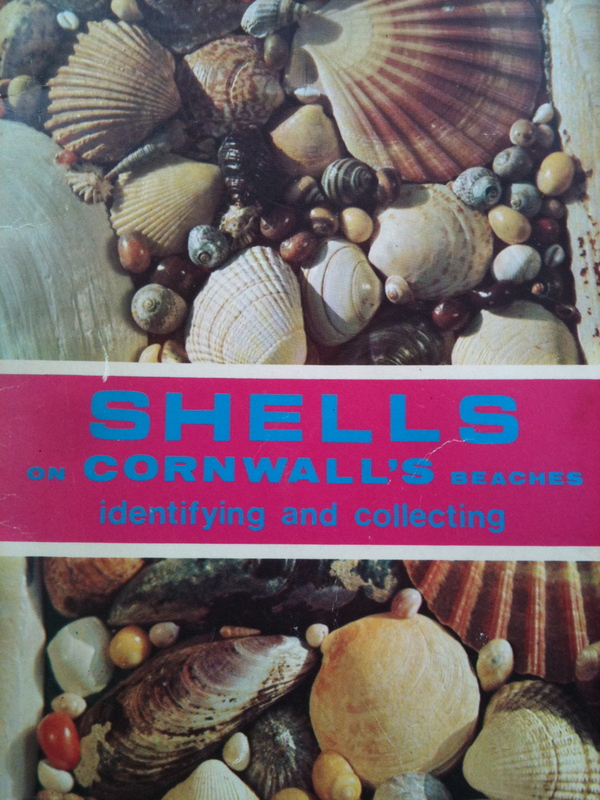 2/ The best beaches for shell collecting are generally on the south coast of Cornwall – Falmouth Bay, Gorran, Mevagissey and St Austell – but also Whitsand Bay (Sennen) and, best of all, the Isles of Scilly. 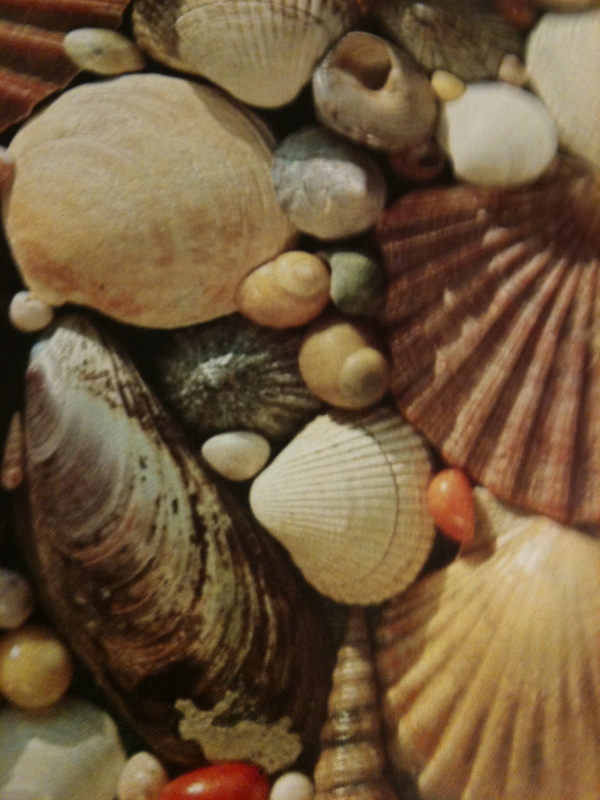 3/ A very sheltered cove or estuary inlet is likely to be rubbish for shells. 4/ The chances of finding a ‘valuable’ rarity are higher in West Cornwall, as you may chance upon something that has travelled further than usual. 5/ Good times to go hunting are after a southerly or westerly winds and also spring tides. 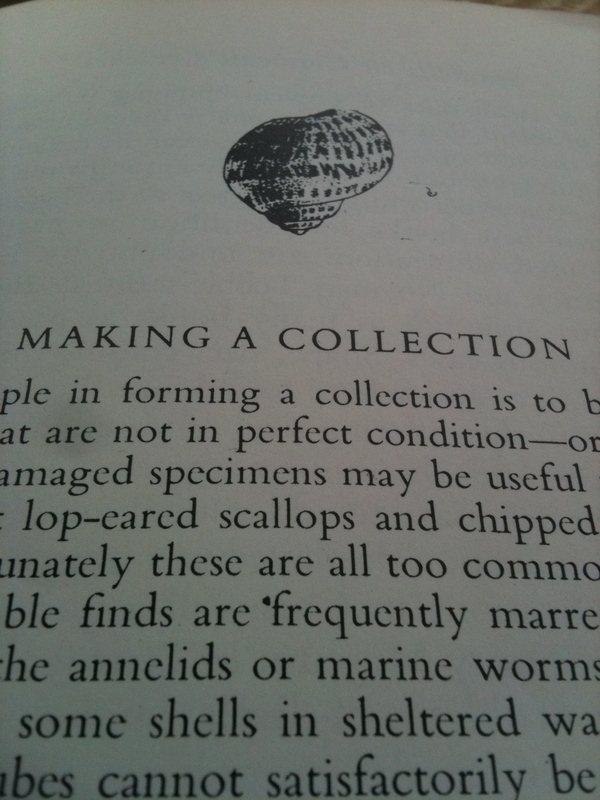 I know the feeling, I can’t help myself when I see a lovely little old book on the sea or its fringes. 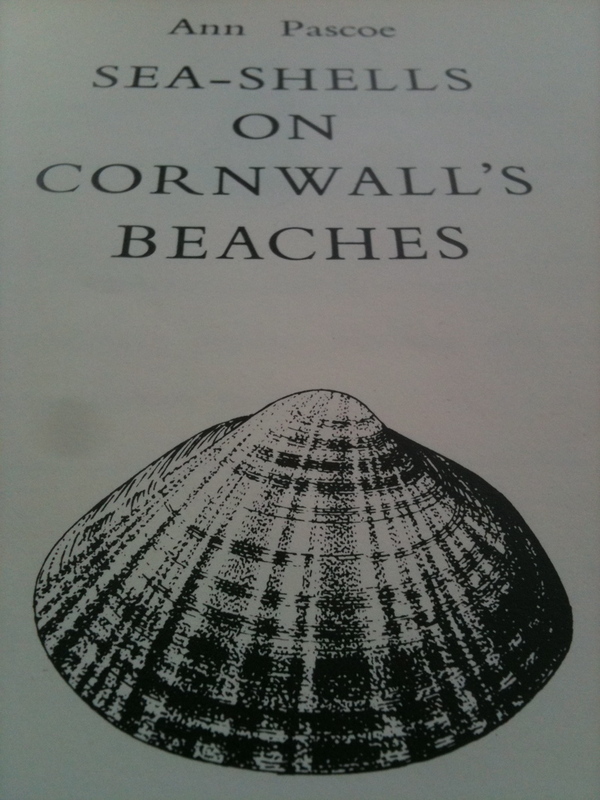 Sorry to be such a geek but I have a copy of Pebbles on Cornwall’s beaches in my collection if you want to borrow it. I feel I could be capable of pebble geekery too given the right textbook!